This is one of my favorite McMann books! 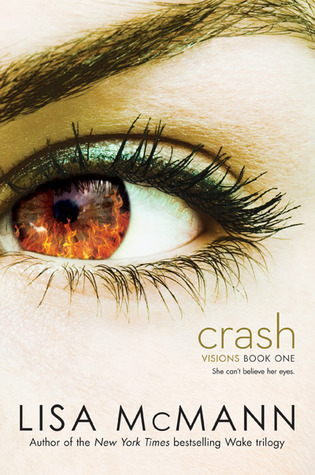 I read CRASH in two sittings and was surprised when I was suddenly on the last page. From the opening pages I fell in love with Jules and her nutso family. They are loud, involved, and totally reminded me of my own. I especially love her relationship with her older brother Trey. I love when books shine siblings in a positive light! It should happen a lot more often, in my opinion! He is compassionate, understanding, and the two have a way about them that I hope is inspirational to other teens. Her relationship with her parents are another thing entirely. The love is there, but so is obligation and maybe guilt. I felt bad that Jules and her siblings work night and day in the family restaurant. When a rivalry between another Italian restaurant surfaces, things in the kitchen really heat up! (ha) We learn about ties to the past, a secret recipe, and a very cute boy. 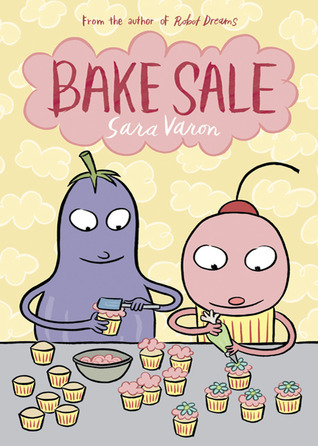 Cupcake owns a bakery and when his friend Eggplant invites him to go visit Turkey to meet a chef who is the creme de la creme, Turkish Delight (pun intended) to help him find the fun in baking again. Cupcake is inventive and inspired by his surroundings and the people to come up with new and exciting desserts to help him raise the money for the trip. Through bright colorful pages we see cupcake work his little cherry off only to have plans change. Cupcake realizes that he didn't really need to go to Turkey to be a great baker. It's official - I'm literally the last librarian on earth to read this book. I've meant to, I really have! When the new covers were reissued, I knew I needed to finally jump on board. I decided to read the original 1975 version and was surprised that there weren't that many dated sayings and lingo. I didn't even hear the word groovy one time!